– January: Sainsbury’s decided to rename Tiger bread. – February: Pizza flavoured beer went on sale in the UK. We haven’t seen any so assume it was not all that successful (or there is a big relaunch planned for next year). – March: Zeddie Little became Ridiculously Photogenic Guy. He did seem a bit in awe of his new found fame. 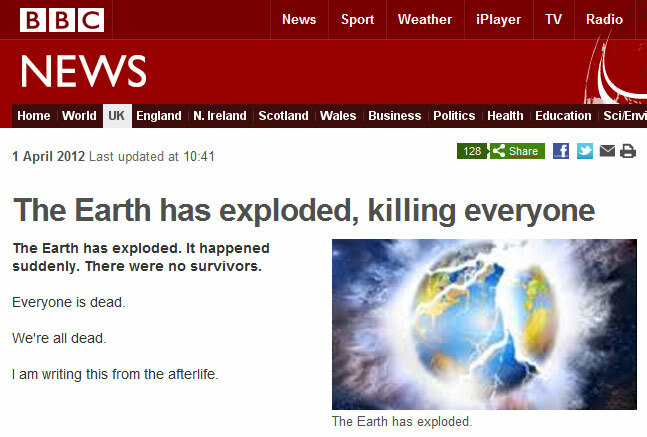 – April: There were some brilliant April Fools Jokes including; the Kodak Kitten printer, Richard Branson promising the first voyage into a volcano but it was the BBC who really went all out. – May: John Terry crashed the celebrations of a match he failed to play in and another meme was born. – June: We were all terrified by this Justin Beiber parody. – July: Let’s be honest the Olympic Opening Ceremony was really weird. – August: With the Olympics came Boris and with Boris came the zip wire incident. – September: The all conquering, now billion time viewed, Gangnam Style made it to number one in the UK. – October: With the US election in full swing, the case was made for voting hedgehog in 2012. – November: Babies were all the rage as a couple named their baby after a pub and another decided to call their baby Hashtag. – December: A well dressed monkey visited Ikea. Have a great new year, where we will be resuming normal service in 2013. This entry was posted in Arts and Entertainment and tagged babg, beiber, boris, gangnam style, hashtag, hedgehog, ikea, john terry, kodak kitten, meme, monkey, olympic, opening ceremony, pizza flavoured beer, pub, rpg, sainsbury, tiger bread, virgin volcanic, zeddie little, zip wire. Bookmark the permalink.